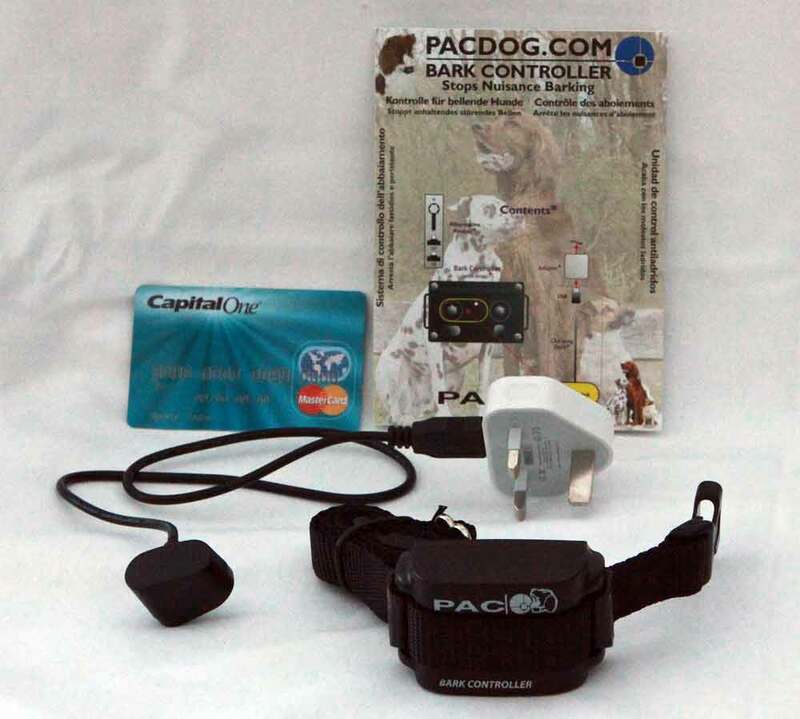 Introducing - The new Pacdog Bark Control Collar for your dog. This Collar can be set at 8 different levels of stimulation. Not only that but you can also choose to put the Bark Controller just on Vibrate. The Choice Is Yours! Long life rechargeable lithium -ion battery, charges in two hours and up to two months between charging. Humane & Highly Effective, Not affected by the barking noises from other, companion dogs. After sensing 4 seconds worth of agitation, caused by sustained barking, the collar will firstly give a preselected warning. This first warning cycle will be stimulation free; but with persistent barking, the collar will give repeated 4-second cycles, each of which, comprises a warning ( or ), together with a single, static pulse (at a pre-selected stimulation level). These ‘deterrent’ cycles will cease immediately the barking activity subsides. Setting the correct level: A stimulation level of ‘0’ is effectively zero stimulation… i.e. with warnings (or) being the sole deterrent.